Colorado Rockies pitcher Jon Gray was pulled after 3.2 innings of work in Wednesday’s extra inning loss to the Pittsburgh Pirates, allowing six runs on nine hits and one walk. Gray didn’t have a horrible outing; he just got poked around an aggressive yet patient Pirates lineup. Through his 3.2 innings of work Gray racked up 96 pitches due to the fact that the Pirates fought in every situation that was presented. The mood after the game was a gloomy one, as tension and emotion filled the clubhouse. The game was four hours and 58 minutes long and ended in bitter fashion with a questionable strike three call on Trevor Story. 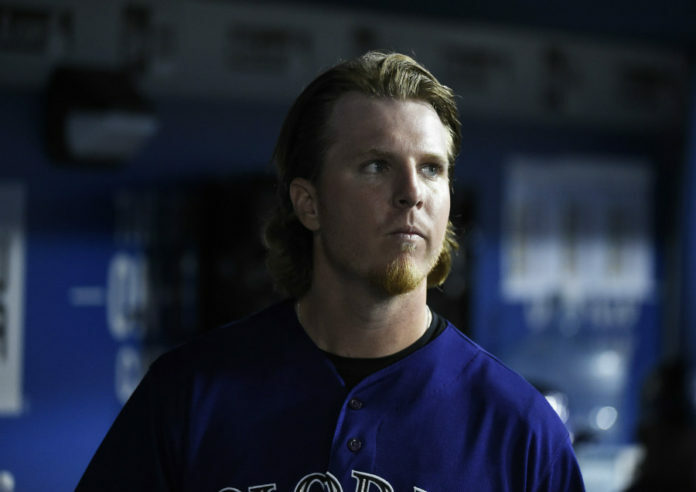 However, the Rockies woes all started with the performance of Jon Gray. “I’m just feeling unlucky at this point.” said Gray following the game. Gray has the right to feel unlucky, as his entire career has been somewhat of a question mark. Baseball is a game of twists and turns and Gray has done everything in his power to be successfully, but the success just hasn’t come yet; however, Gray remains hopeful that things will get turned around. Gray has expectations the Rockies need him to live up to in order for him to help anchor their rotation, and while things have not gone as planned thus far, there are still plenty of opportunities to get things straightened out.